Your Roanoke, Daleville, and Vinton dentists at Cross, Lavinder, Quinn, & Park Family Dentistry strive to bring both the technology and amenities of a big city practice with a small town atmosphere and hospitality. Please meet our award winning team that works hard to exceed your expectations. We are committed to providing you with excellent quality dentistry in a comfortable environment. You deserve a skilled, experienced dental care partner like Cross, Lavinder, Quinn, & Park Family Dentistry to ensure you achieve and maintain great oral health and a beautiful smile for years to come. 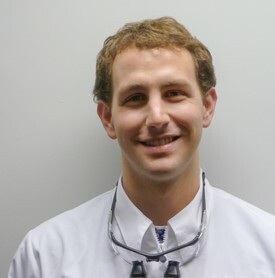 Dr. Fred Coots III is a Roanoke native, is a graduate of Roanoke College and Medical College of Virginia. He resides in Roanoke County with his wife, Kristie and 2 children. He enjoys flying airplanes, is an amateur chef, and likes working his 1 acre garden. 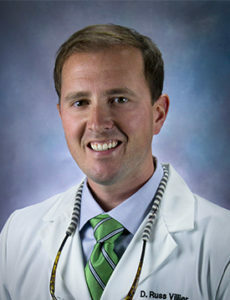 Dr. Griffin Cross is a Salem native and graduate of VT and Medical College of Virginia. He is also a member of the International Congress of Oral Implantologists. 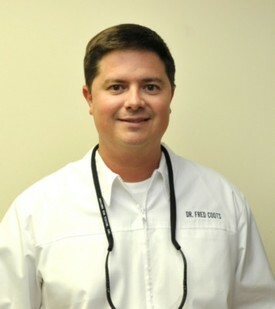 Dr. Cross has been awarded ‘Top Doc’, Best Chairside Manner and Best Dentist for multiple years in local polls. Providing exceptional care to all ages, Dr. Cross will gladly see patients in the Roanoke and Daleville locations. He enjoys soccer and water sports at Smith Mountain Lake. He resides in Salem with his wife Ashley and 3 sons. Dr. Lisa Lavinder is a native of Roanoke, VA. She obtained her B.S degree in Biochemistry with a minor in Chemistry from Virginia Tech. In 2006 she graduated from University of Pennsylvania School of Dental Medicine. After dental school, she completed an Advanced Education in General Dentistry residency program at Virginia Commonwealth University. 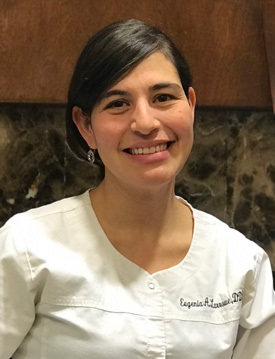 Through this program, she spent an entire year focusing her training in cosmetic dentistry, restoring implants, and creating removable and fixed prosthodontics (crowns, bridges, dentures and partial dentures) for her patients. She has volunteered in dental projects such as Mission of Mercy in Wise, VA, and has worked at the Botetourt Free Clinic. She was awarded “Best of Botetourt’ several times in local polls. She enjoys working with both children and adults. In her free time she enjoys running, snow skiing, hiking, fishing, painting, and traveling with her husband and 3 children. 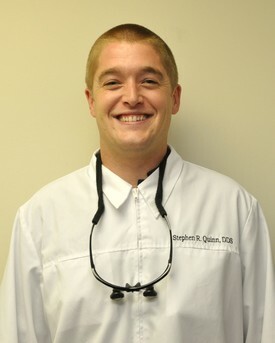 Dr. Stephen Quinn, a Roanoke native, is a graduate of Roanoke College and Medical College of Virginia. He resides in Roanoke County with his wife and children. He enjoys all types of outdoor activities including fishing and backpacking. His gentle and caring manner has helped him achieve ‘Best Dentist’ in local polls. 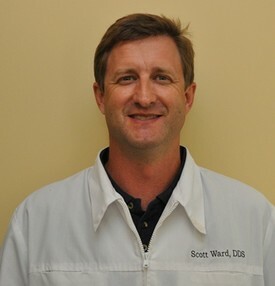 Dr. B. Scott Ward is a native of Dublin and resides in Botetourt County with his wife and three daughters. He is a graduate of Virginia Tech and Medical College of Virginia. He enjoys fishing, hunting, and recreational league softball. Dr. Adam Williams, a native of Roanoke, completed his B.S. in Biology at Furman University and his D.D.S. at the Medical College of Virginia. When not at the office, Dr. Williams enjoys basketball and running on the Greenway. 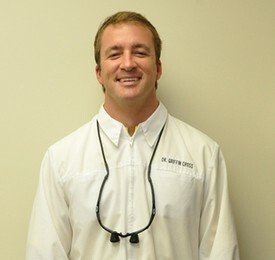 He provides quality and caring dental care to all patients and is accepting new patients at our Roanoke location. 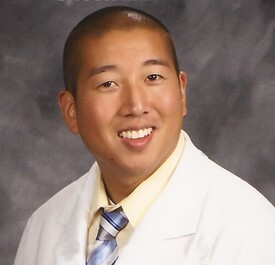 Dr. Adam Park provides gentle and expert care, treating his patients like he would his own family. He was born and raised in Alexandria, Virginia. He received an engineering degree from Virginia Tech and his Doctorate of Dental Surgery from Medical College of Virginia. Dr. Park owned and operated a cosmetic and family practice in Northern Virginia for several years before he and his family moved to the Roanoke Valley. Dr. Park enjoys spending many hours above and beyond national requirements to further his knowledge in dentistry, including cosmetic dentistry, sleep training, study of the TMJ, Laser dentistry, occlusion, implants, root canals, and much more. Dr. Park looks forward to exceeding your expectations. Dr. D. Russ Villier brings quality compassionate care to all of our patients primarily at our Daleville office. 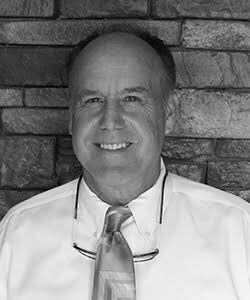 Dr. Villier is a Louisville, Kentucky native calling the Roanoke Valley home since 2014 with his wife, daughter, and son. Dr. Villier attained his B.A. from Hanover College before earning his D.M.D. at the University of Louisville School of Dentistry. When not practicing dentistry you can find him hiking on a trail, paddling on the cove, or driving on the Parkway. Dr. Steven S. Kanetzke attended undergraduate school at University of Wisconsin Eau Claire and graduated with a Doctor of Dental Surgery degree from Virginia Commonwealth University in June 1981. He began practicing in Vinton in 1981 and moved to his current location in 1985. To stay up-to-date with the latest techniques and technologies, Dr. Kanetzke maintains memberships in many prestigious professional organizations. He is currently a member of the American Dental Association. Dr. Kanetzke feels it is important to give back to his local community. Thus he volunteers his time and services to Donated Dental Services, a program that provides free dental care for those who cannot afford it. Dr. Kanetzke grew up in Racine, Wisconsin and currently resides in Botetourt County with his wife, Cheryl, four dogs and four cats. In his spare time, he enjoys spending time with his grandkids, playing tennis and traveling. Dr. Eugenia Larrowe is a native of Costa Rica but has made Virginia her home for the last 18 years. She earned a bachelors’ degree in health promotion from Liberty University and a masters in education in health promotion from Virginia Tech. She completed her dental education at VCU in Richmond, VA. Upon graduation, she returned to Galax where she practiced for four years before moving to the Roanoke area. She currently resides in Daleville with her husband and their two children. In her spare time, Dr. Larrowe enjoys traveling and spending time with family. 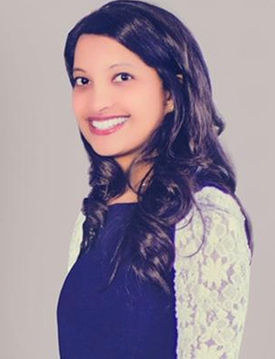 Dr. Sandy Chacko grew up in Tampa, Florida and attended the University of South Florida. She then moved to the northeast where she attended dental school at Boston University. After graduating from dental school, she completed a general dentistry residency program in New York. Dr. Chacko and her husband, a local eye surgeon share a passion and commitment to serving others. In her free time, she is busy with her young children. After moving here about a year ago, she has enjoyed making Roanoke home. 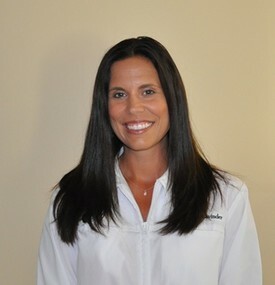 As the newest member of the team, she looks forward to meeting your dental needs with care and compassion.